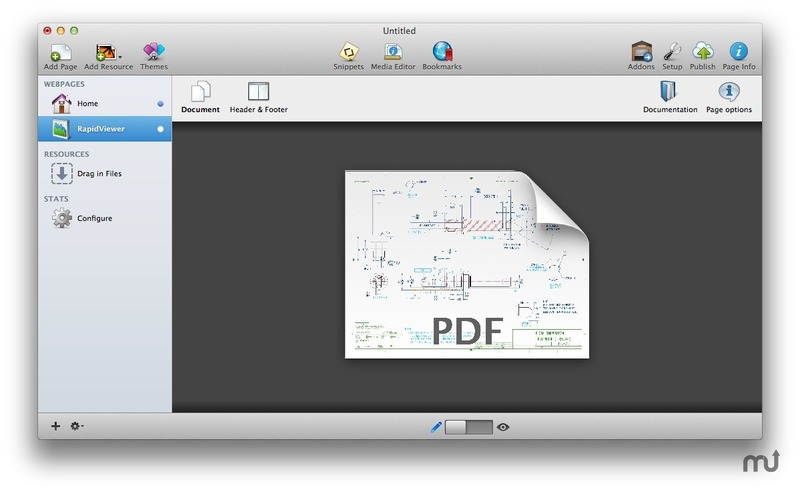 RapidWeaver plugin shares documents on a Web page. Is there a better alternative to RapidViewer? Is RapidViewer really the best app in HTML category? Will RapidViewer work good on macOS 10.13.4? 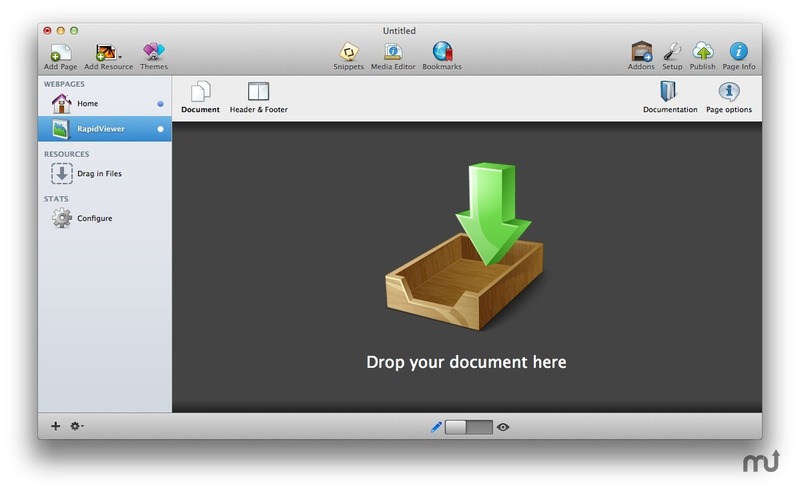 RapidViewer (was RapidDocs) is a RapidWeaver plugin that lets you easily share documents on a web page. It uses the powerful Google Docs Viewer so it's compatible with all themes and browsers without the need for additional installations. Embed your documents in 2 easy steps! [Enhancement] Removes 'proxy mode', which is no longer needed. [Bug fix] Fixes possible 'invalid URL' error. RapidViewer needs a rating. Be the first to rate this app and get the discussion started! Drop and publish. Easy enough? - Have you ever gone crazy trying to show your presentation, leaflets or documents on your site? RapidDocs is the perfect plugin thats helps you share your contents: just drag your PDF files, Microsoft Word documents, PowerPoint presentations and TIFF files (or link remote documents), define margins and layout... and publish! There's no need to install Adobe Viewer nor Microsoft Office to share your docs! Could it be easier? 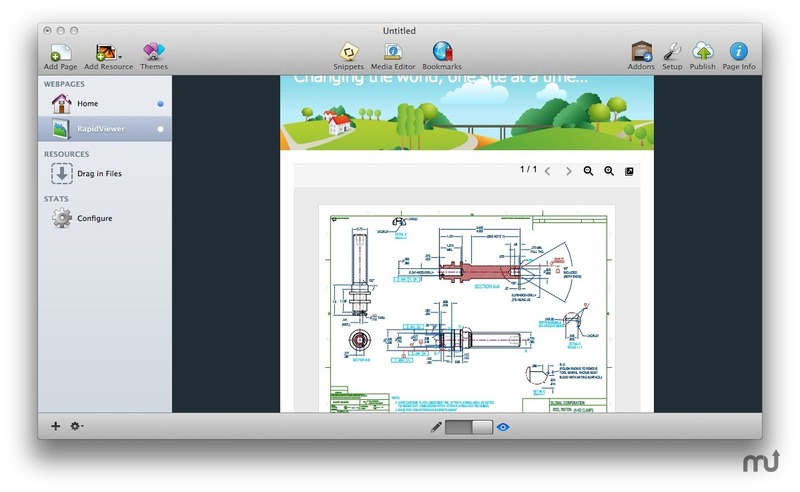 - The integrated viewer displays a menu bar to navigate through pages, zoom in and out, and preview. Switch between "compact" and "extended" interface to experience even more features and save the document into your Google Docs account.